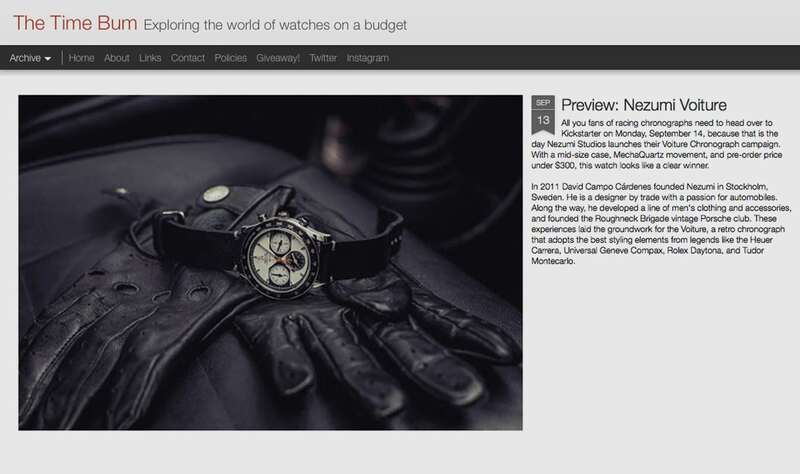 TheTimeBum.com just published their preview article about the NEZUMI® Voiture racing chronograph. Big thank you to Loren! Please go and read the article and follow them! Read the full article here * Please note, this is a prototype and some improvements will be made to the final product.